AmberBox Gunshot Detection now offers automated conference line attendance tracking, within the AmberBox Response Platform. As part of our system activation, an open conference call line is created between local law enforcement and building security representatives, to share information and coordinate efficiently. 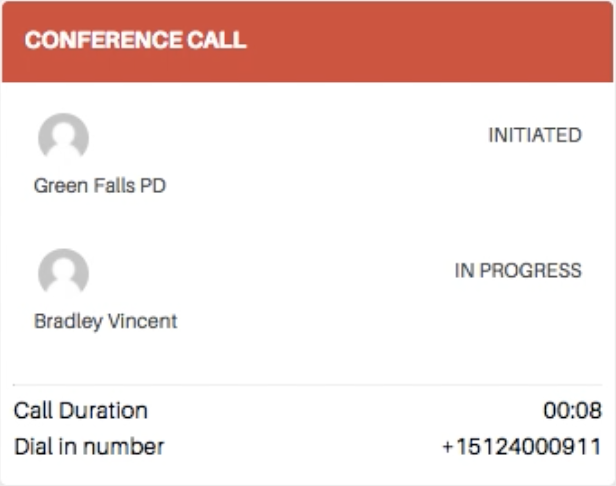 Within our latest update, it is now possible to track exactly who is present on the conference line or who has disconnected, from both company personnel and local police. Additional call visibility results in improved operational intelligence and quicker response time. Removing the time-consuming action of assessing who is present, facilitates smoother communication with fewer interruptions. This permits building security personnel and the local police dispatch centre to coordinate a faster and more efficient response to a gunshot incident. Automating the conference line tracking process helps to ensure that when vital seconds can make such a significant difference to attack severity, first responders have the life-saving information they need in an active shooter incident. Automated conference line tracking can be viewed within the cloud-based AmberBox Response Platform. If an activation occurs, users are automatically directed to the “Alerts Page” upon logging onto the platform. In addition to presenting vital incident information on the unfolding event, this will now contain a box illustrating current participants on the emergency conference call line.